For believers and believers, hell is definitely one of the most feared places. Because hell is a place of torture for those who sin when living in the world. Many stories describe hell as a place with a burning fire, inhabited by demons and evil spirits. 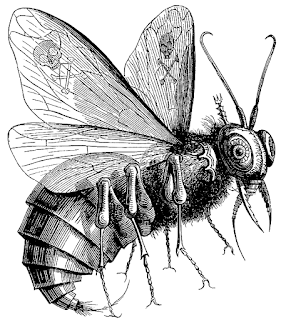 In each country certainly has its own story about the creatures of the inhabitants of hell, some of which there are odd-shaped, horrible, even looks like a fantasy. Here we see what kind and what shape these creatures. This creature is leader of forty legions in hell. It is said to have an owl's head with a body resembling a lion or a wolf, including a foot, and has a tail resembling a worm or a snake. He knows all past and future events. Adramelech became President of the Senate of evil spirits. He is also the Chancellor of Hell and the supervisor of Satan. 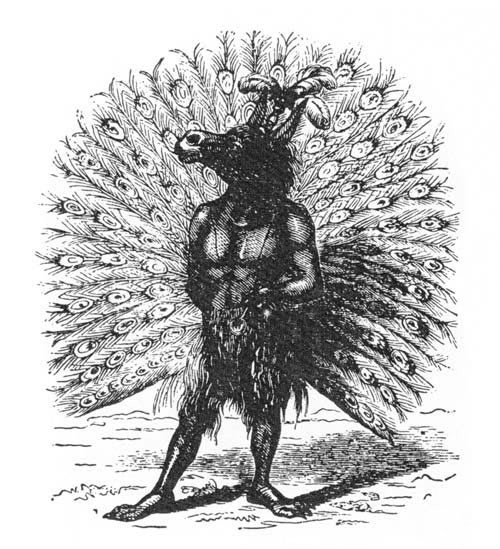 Generally depicted with the human body and head, and the rest of the donkey's body (or sometimes as a peacock). 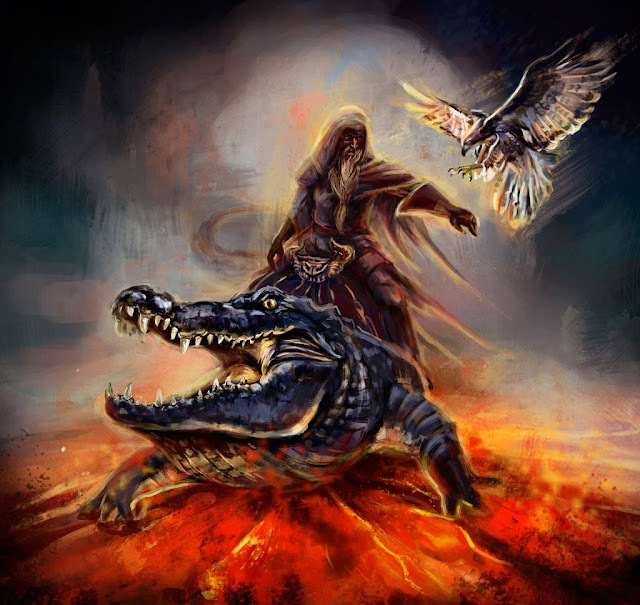 Described in a duke "under eastern rule," an "old man, riding a crocodile, and carrying a hawk in his arm," This creature that teaches the language, stops and captures the blur, causes earthquakes, and decisers of noble titles. Asmodeus specializes in everything related to greed and illicit pleasure. 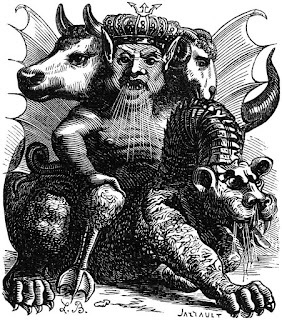 These three headed beings (bulls, sheep and humans) lead people to squander their wealth from something worthless and seduce them into an illicit, illicit relationship. According to Christianity, Judaism and Islam, Azazel was one of the first angels to fall from the sky and his duty tempted men to make and take arms and women to apply make-up. Baal is the most demons associated with laziness. 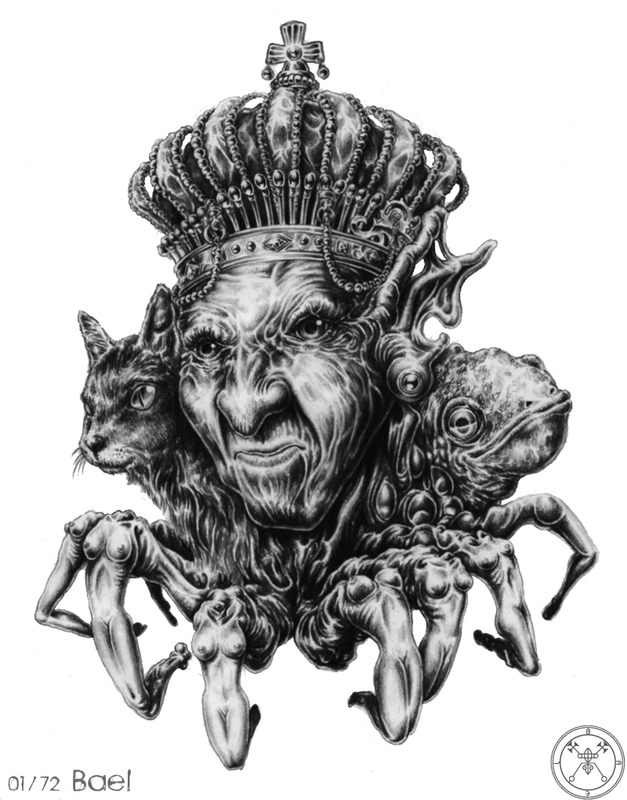 Located in East Hell, it has a spider arm and three heads (humans, cats and frogs). Chief of staff and second rank after Lucifer. As leader of the Fly Order, Beelzebub often takes the form of a fly and is famous for misleading humans and tempting to sin, jealousy and pride. 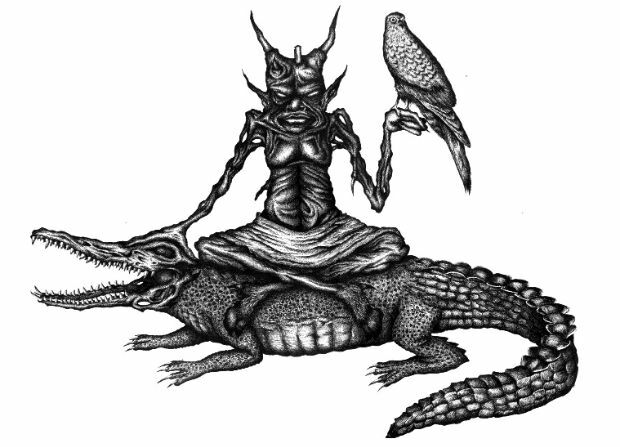 The magicians are often touted to worship Beelzebub. 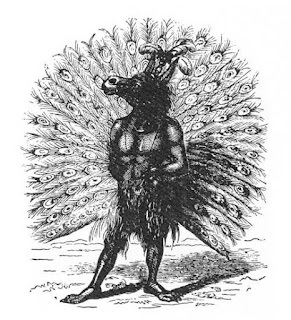 Buer was a spirit that appeared in the 16th century, where he was described as president or chairman of Hell, having fifty legions of demons under his command. 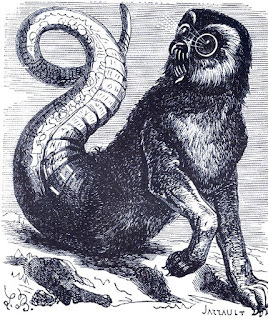 Louis Le Breton created the Buer illustration, then by M. Jarrault, portrayed as a demon who had a lion's head and five goat legs around his body to walk in all directions. Often portrayed as a fish or half-human fish, Dagon is a cook in the hell kitchen as well as a god in the belief of Philistines. Adopted by H.P. Lovecraft in his story.